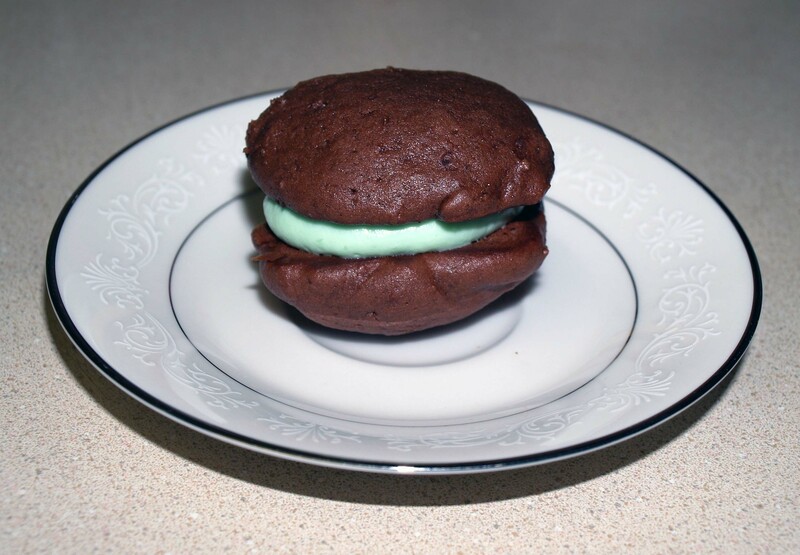 Grasshopper Whoopie Pies | I Wanna Bake! 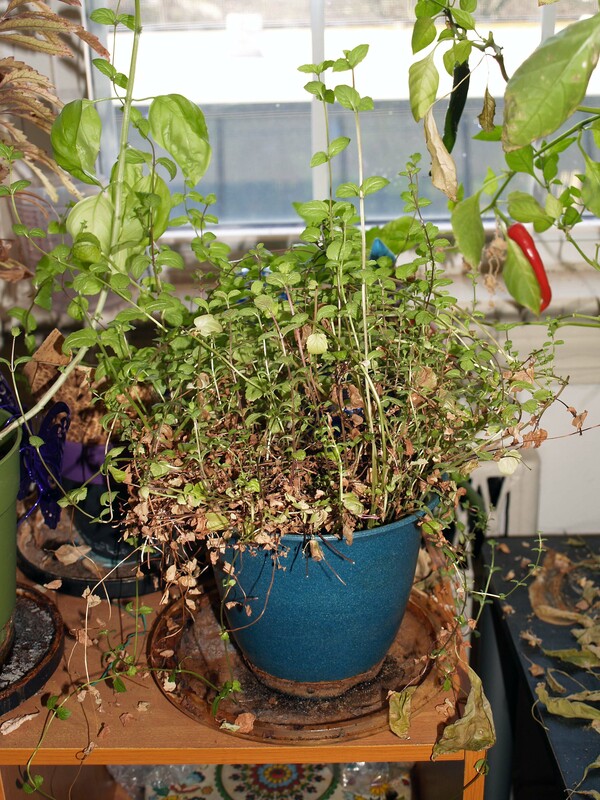 This plant attempts to strangle all of its neighbors, climbing all over my windowsill garden, wrapping itself around my other plants, and rooting itself in other pots. Clearly, it needed to be taken down a peg. This imperative to stop the tyrant is what inspired this week’s creation. Giving the mint a haircut meant that I would have a sudden influx of fresh mint to work with. Whoopie pies lie in the intersection of cake and sandwich cookies. 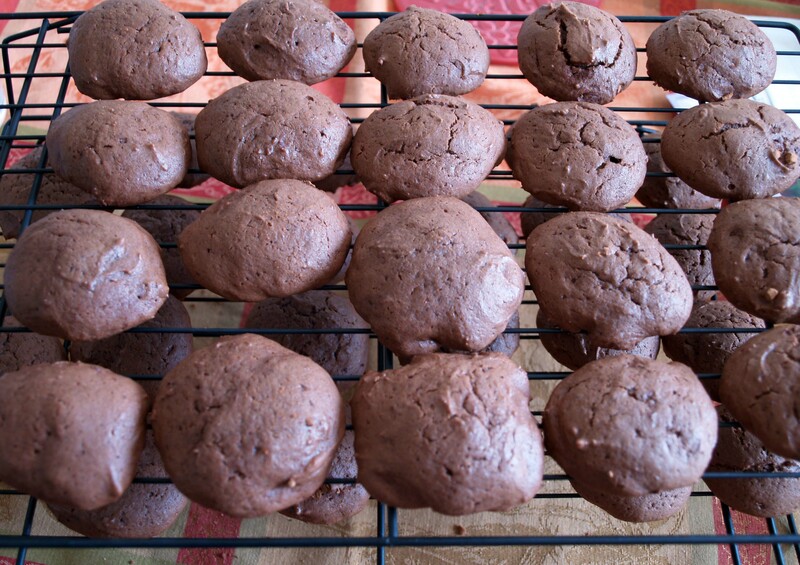 The cookies have a cake-like consistency, but the dough (or is it batter…) is more like a wet cookie dough. 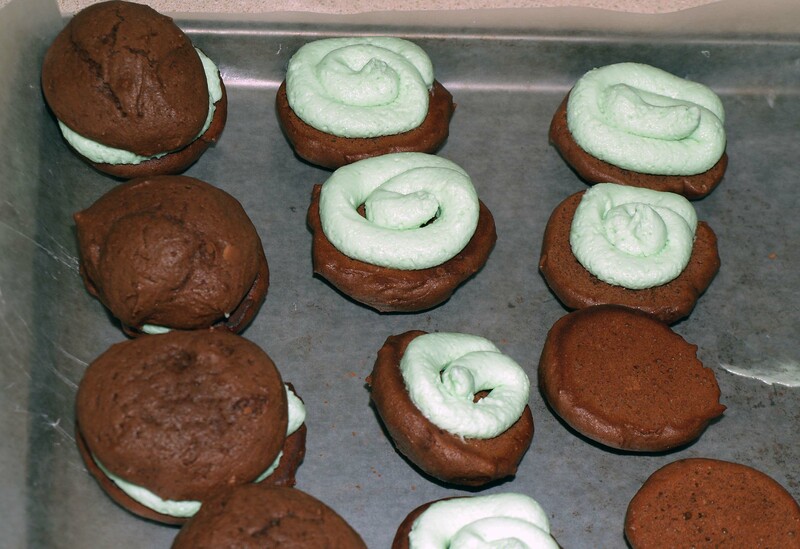 I gathered inspiration from several different recipes for these grasshopper whoopie pies. I started with this recipe for the cookies, changing only the flour, and I used this recipe and this recipe as starting points for the filling. 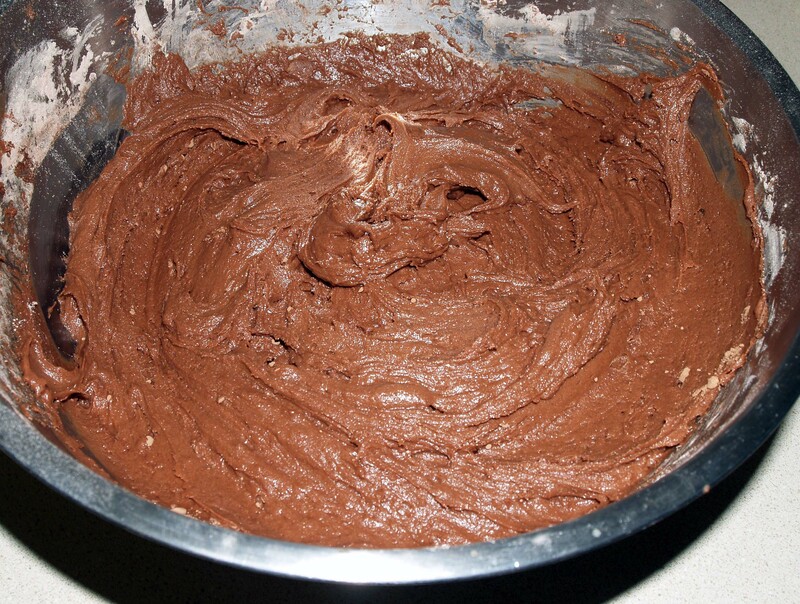 If I were to make any after-the-fact adjustments, I might add some confectioner’s sugar to the filling to make it a bit stiffer (more like frosting), chill the dough before scooping, and use a cookie scoop to make the cookies more uniform. Blues Traveler. Today, I’m not going to suggest a genre, because I don’t believe that Blues Traveler fits neatly into any one genre. However, they are just the right band for this baking endeavor. My favorite album is Straight on Till Morning, but Four, Blues Traveler, and Bridge are great choices too. Really, any Blues Traveler is worth putting on. 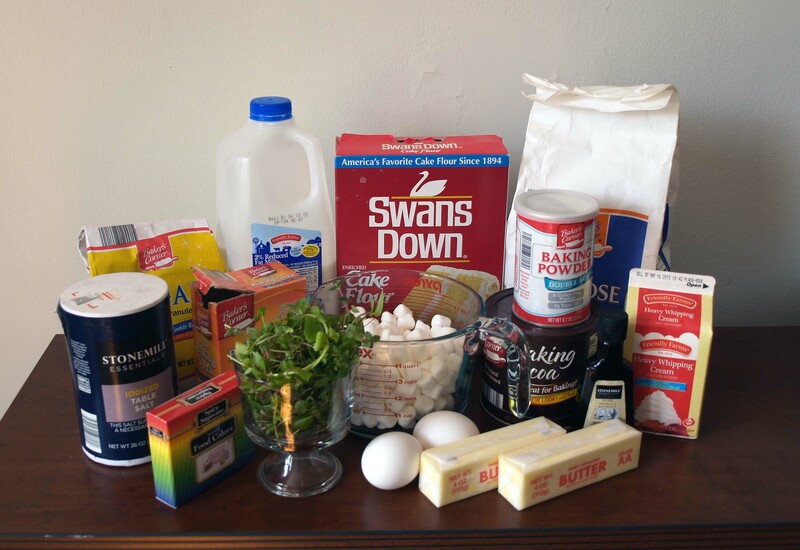 Without further ado, let’s bake! First, prepare your mint syrup. You will want to start this at least 8 hours in advance to allow enough time for the mint leaves to infuse the syrup fully. Preheat your oven to 350°F and prepare your cookie sheets. I line mine with aluminum foil, shiny side down, so I don’t have to clean them, but you may also use parchment paper or grease them. 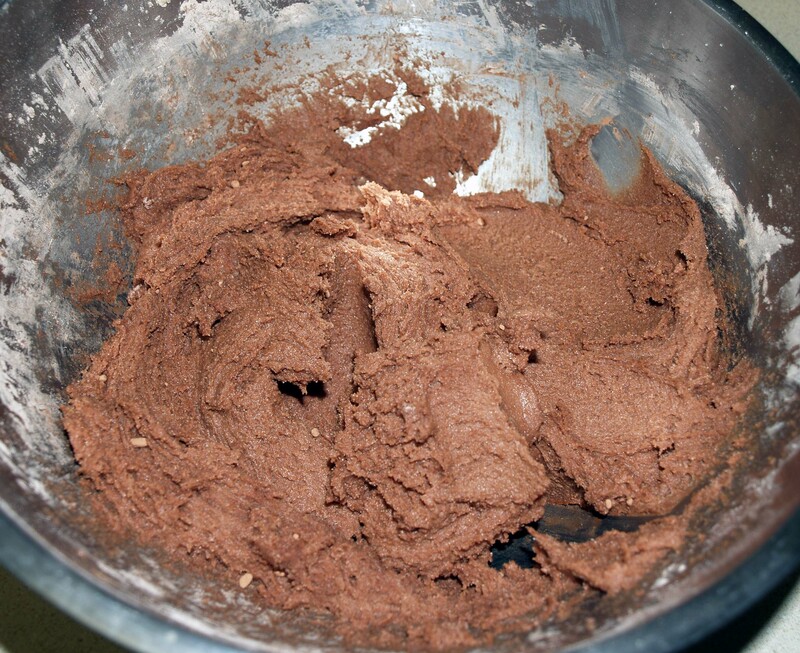 In a medium bowl, whisk together the flours, cocoa powder, salt, baking powder, and baking soda. Stir half of the dry ingredients into the wet ingredients. While I was beating the wet ingredients with an electric mixer, I suggest using a spoon or rubber spatula for the dry ingredients because they will quickly get EVERYWHERE if you mix them too fast. Stir in the rest of the dry ingredients. 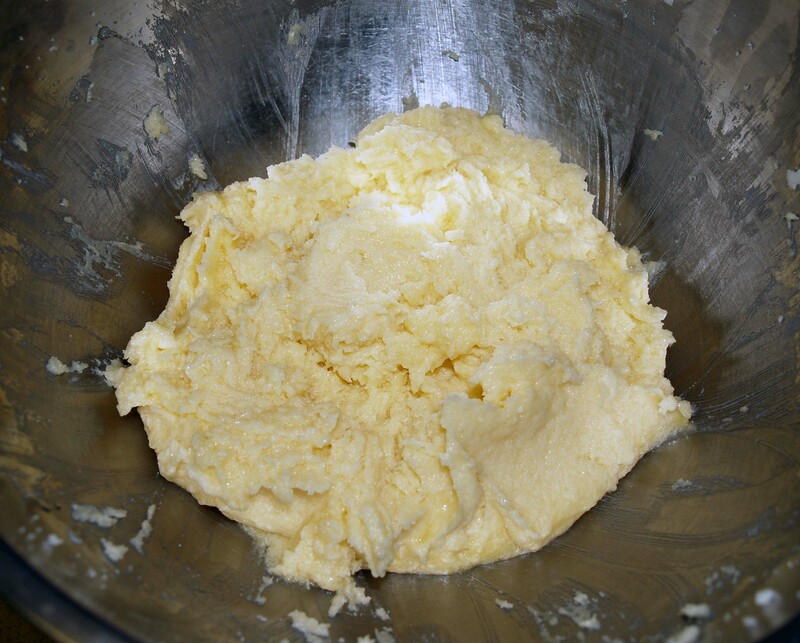 Your dough/batter should be thick and hold its shape. As mentioned earlier, you might want to refrigerate your dough for an hour or so to make it easier to shape. Drop your dough by rounded tablespoons onto your cookie sheets. Do your best to make them round and slightly flat so that they will be easier to match when you are assembling your sandwiches. This recipe should make approximately 50 cookies. 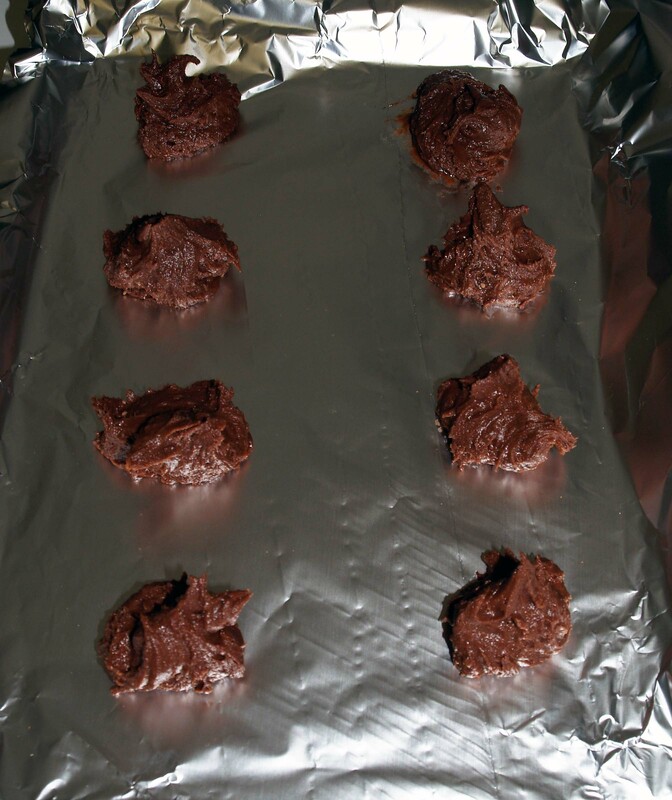 Bake the cookies for 10 minutes. Let them cool for 5 minutes on the cookie sheets, then remove them to cool on a wire rack. Make sure they cool completely before you assemble them, or they will melt your filling. While your cookies are cooling, begin to prepare the filling. 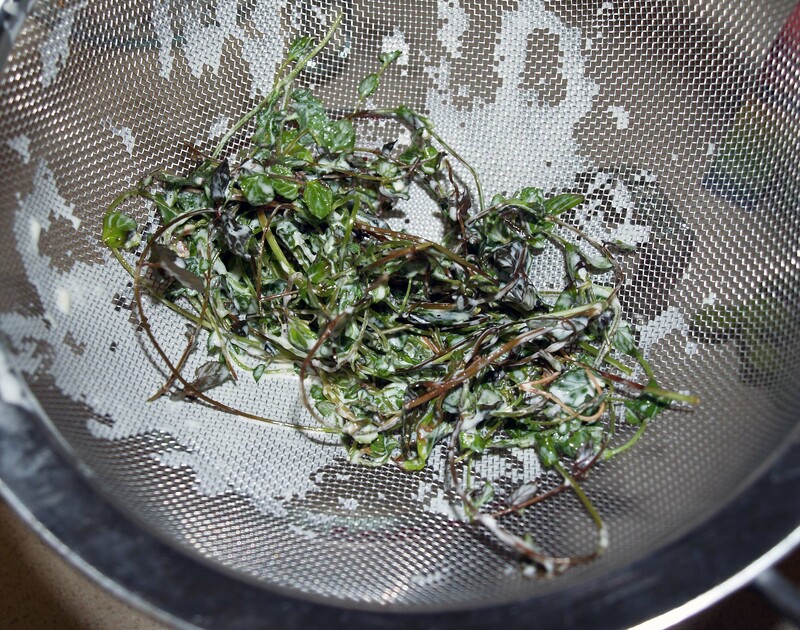 Place the mint leaves in a medium saucepan and gently crush them with the back of a spoon. 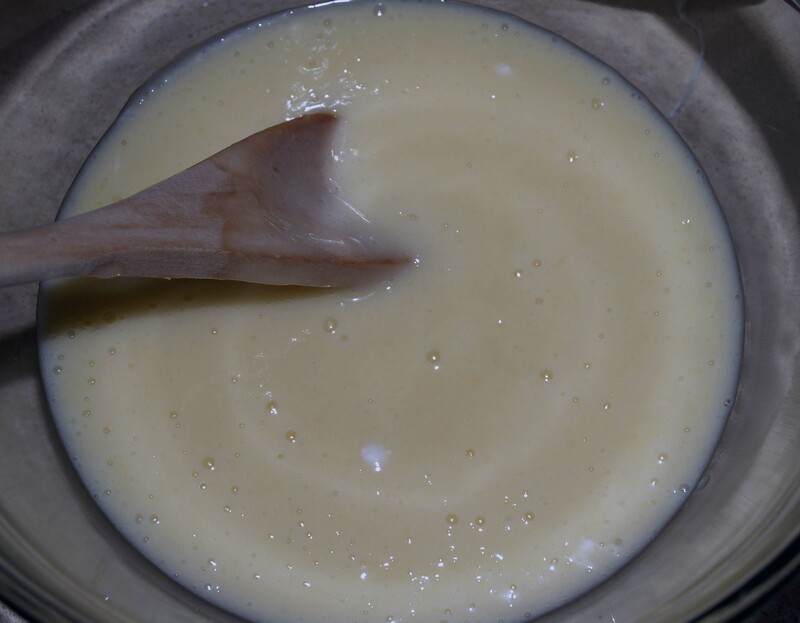 Pour 1 cup of heavy cream into the saucepan and stir. Heat the cream and mint over medium heat until it just begins to boil. 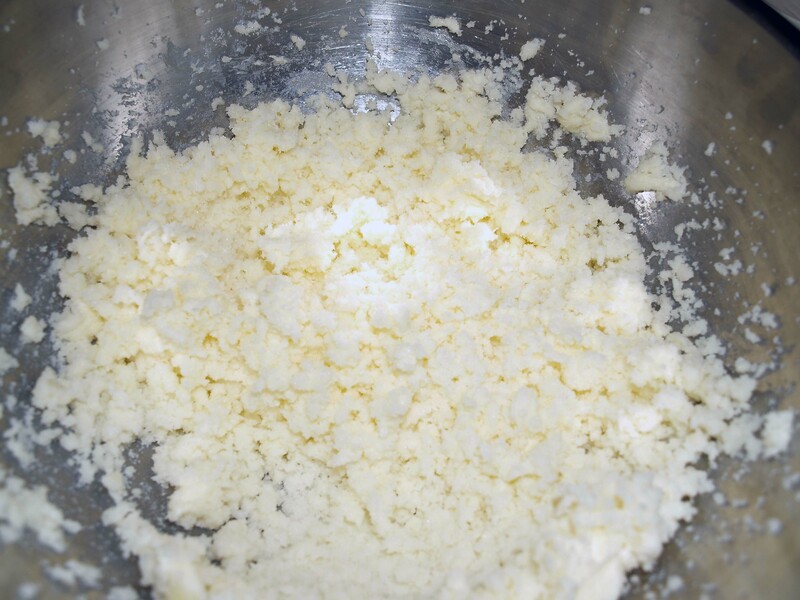 Remove the cream from the heat, cover, and steep for 15 minutes. 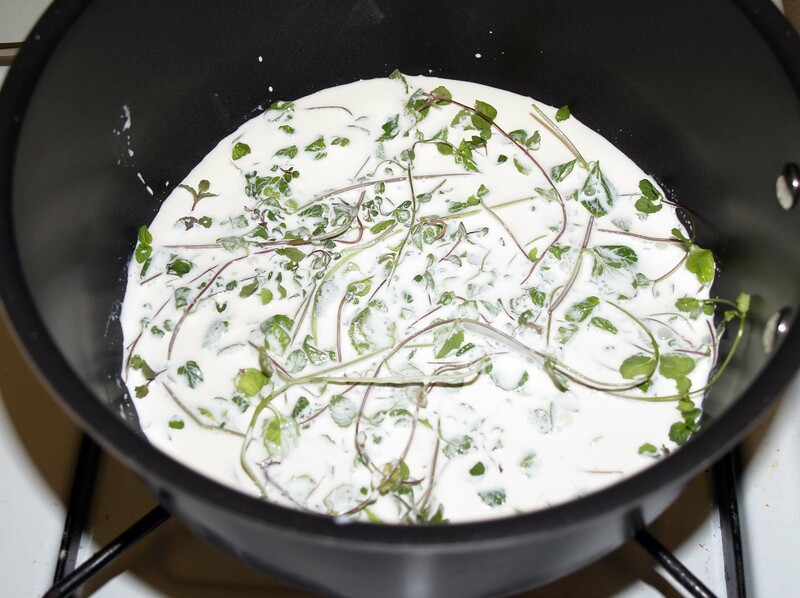 Strain the mint leaves out of the cream and return it to the saucepan. 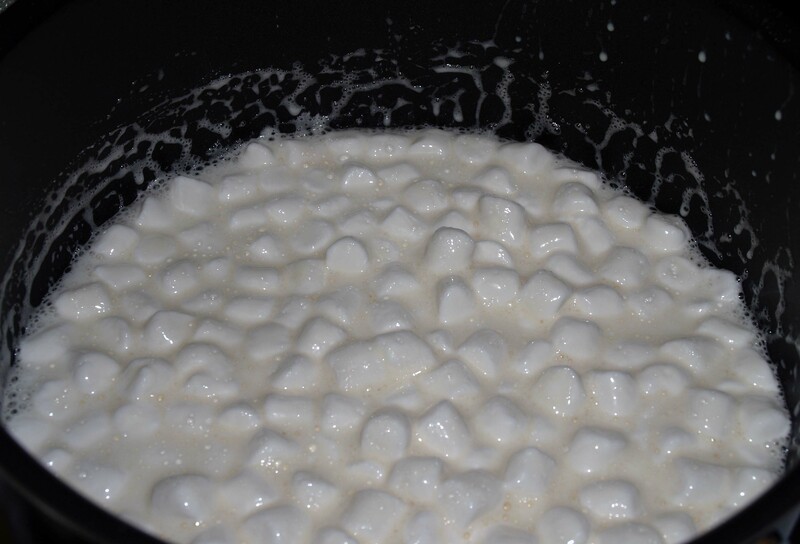 Add the marshmallows to the cream and return them to medium heat. Heat until the cream starts to foam and remove the mixture from the heat. 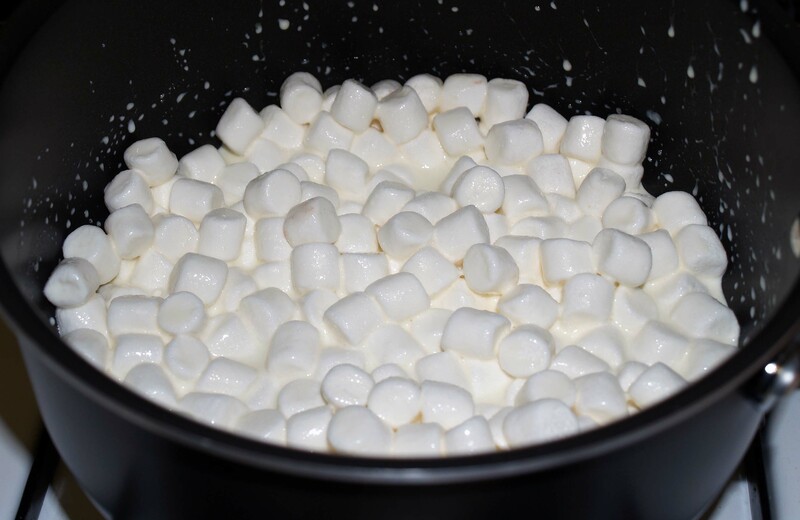 Whisk or stir until the marshmallows are completely dissolved. 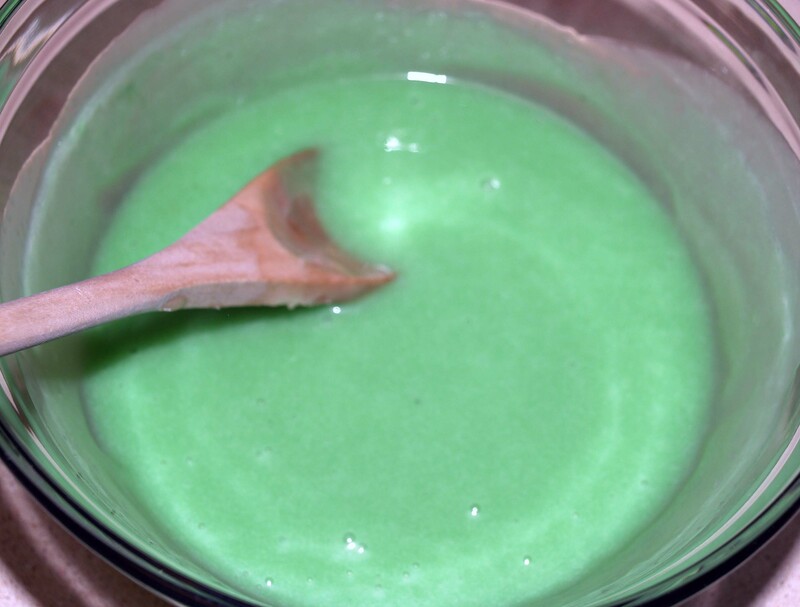 Pour the cream and marshmallow mixture into a heat-proof bowl and whisk in the mint syrup and enough green food coloring to create the proper shade of green. 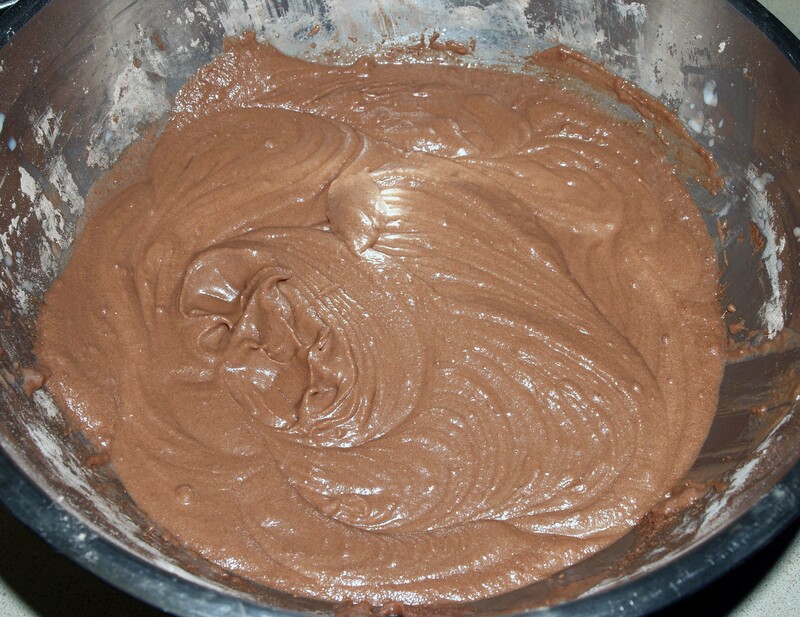 Allow the mixture to cool completely. Once your mint marshmallow cream has cooled, whip the remaining cup of cream (be sure to keep it cold) until soft peaks form. 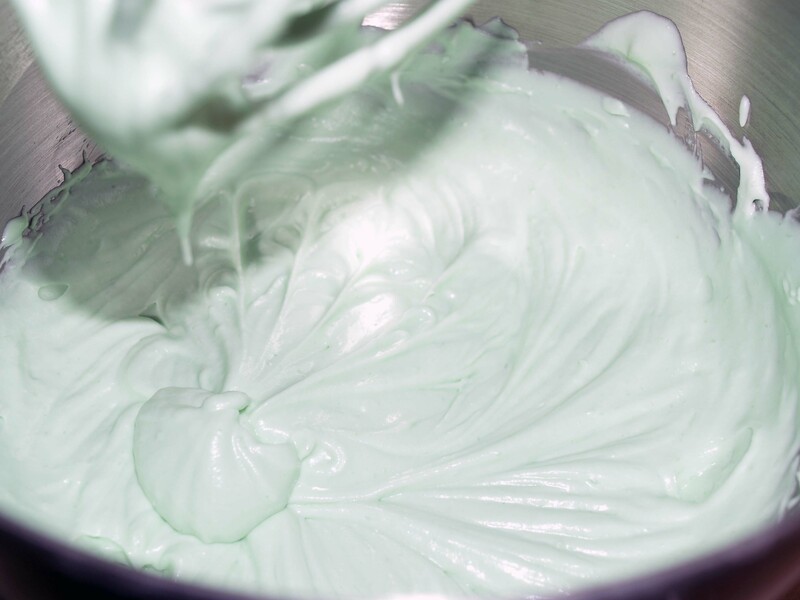 Pour in the mint marshmallow cream and continue to whip the mixture until it is of piping consistency. If you would like a stiffer filling, this is the point at which you would add in some confectioner’s sugar. 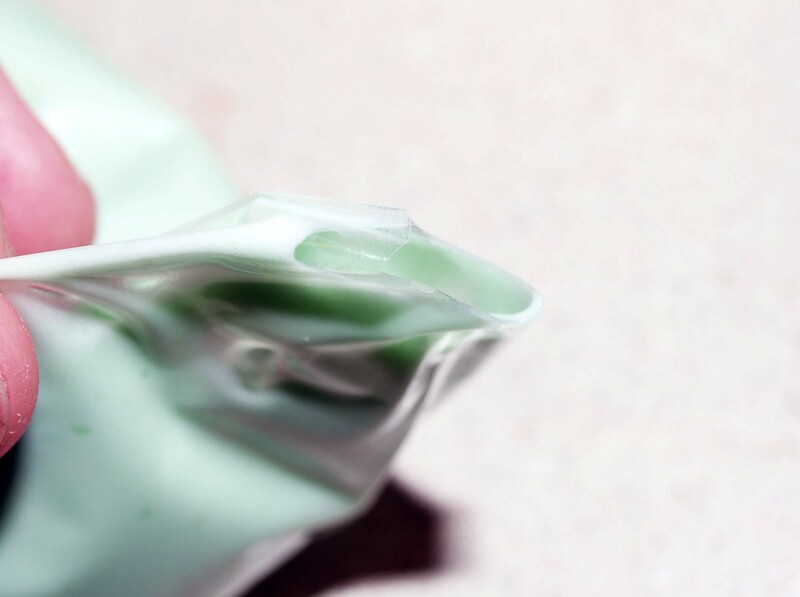 Pour your filling into a piping bag or gallon resealable plastic bag. 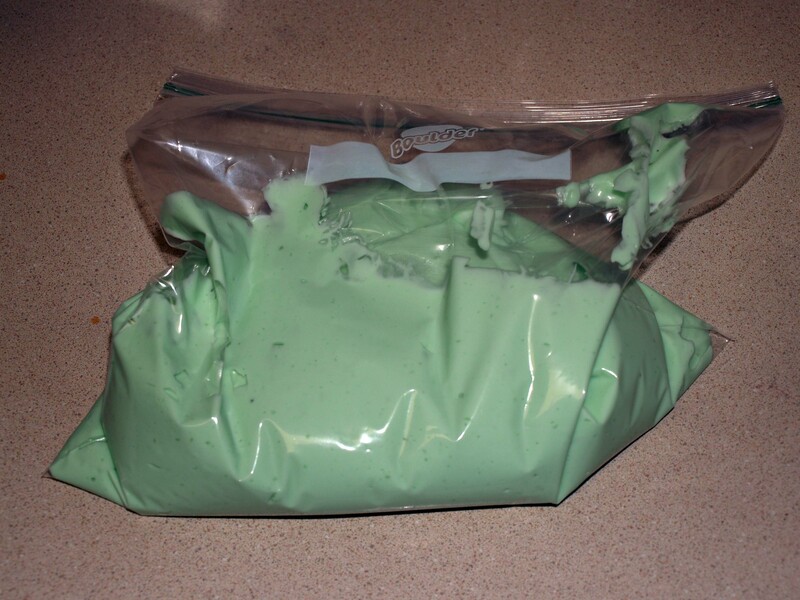 Place the bag in the freezer for 20 minutes (do not leave it in there too long or strange things might happen to the cream). Once your cream has chilled, cut a small hole in one corner. Lay your cookies out on wax paper. Pipe filling onto half of the cookies and sandwich those with the rest of the cookies. These keep best individually-wrapped in the fridge. Enjoy! Pingback: How to Make Infused Syrups | I Wanna Bake!